A private think tank believes that rising overseas spending by Koreans is partly responsible for slowing domestic consumption, and spending that money at home could create thousands of jobs. The Korea Economic Research Institute on Thursday said its analysis of household consumption from 2011 to 2017 shows domestic spending rising 1.6 percent on average a year but overseas spending 10.1 percent. 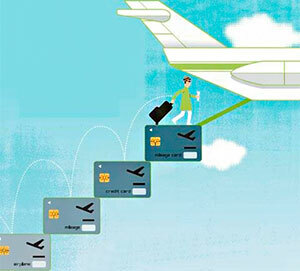 It is common for people in countries with growing income levels to spend more on travel abroad. KERI believes that Koreans' overseas spending is rising too quickly compared to domestic spending and cannot simply be attributed to higher incomes. Rather, it believes that the domestic tourism industry lacks the pull of its foreign rivals. It cited the contrasting performance of Korea and Japan in attracting foreign visitors. In 2010, Korea and Japan were virtually neck-and-neck in terms of the number of tourists. But last year, only 13.34 million tourists came to Korea but 28.69 million to Japan. Even discounting the sharp decline in Chinese visitors due to China's unofficial boycott over Korea's deployment of a Terminal High-Altitude Area Defense battery, KERI says the gap must be blamed on the poor competitiveness of Korea's tourism industry. 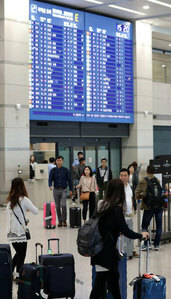 It added that steps must be taken to improve Korea's tourism industry to stem the excessive rise in overseas spending. Choo Kwang-ho, a researcher at KERI, said, "If we bring back just 10 percent of overseas spending to the domestic market, it would have the effect of creating W2.5 trillion in added value and 73,000 jobs."